Teysa Karlov ($0.75) Price History from major stores - Ravnica Allegiance - MTGPrice.com Values for Ebay, Amazon and hobby stores! Card Text: If a creature dying causes a triggered ability of a permanent you control to trigger, that ability triggers an additional time. 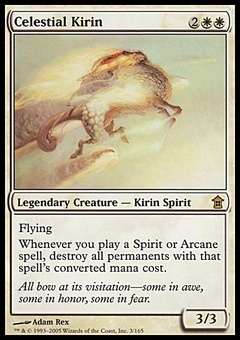 Creature tokens you control have vigilance and lifelink. 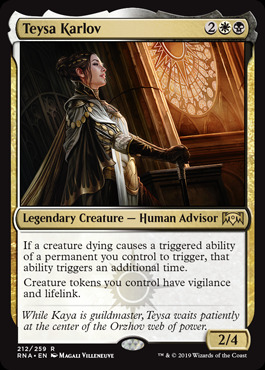 Flavor Text: While Kaya is guildmaster, Teysa waits patiently at the center of the Orzhov web of power.